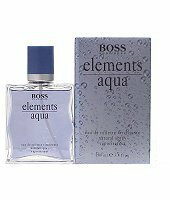 Hugo Boss introduced Elements Aqua in 1996. Elements Aqua is classified as a sharp, oriental, woody fragrance. This masculine scent possesses a blend of patchouli and sandalwood with woodsy undertones. Elements Aqua is recommended for daytime use.